My father would have been ninety yesterday. If he had lived longer, if he hadn’t had dementia, if he hadn’t had to take psychotropic drugs and Alzheimer meds. When I think of him now, I try to remember the good times, the funny things, the strong him, and not the man who heard voices and thought he was in the FBI. One of those funny things happened repeatedly when I was a teenager. My home church, First Baptist, was always putting notices in the bulletin for people to sign up to stay in the nursery, to place flowers in the sanctuary, or to serve here or there. My best friend and I signed my dad up for everything. Without his knowledge, of course. We’d fill out his name on the form in the bulletin, add his phone number, tear it out, and place it appropriately in the offering plate. Inevitably, the church would call. I would always answer the black-dial phone in the little hallway insert — the phone with the long cord that stretched into the next room, so I could talk to my boyfriend in private. I’d call my father out of his easy chair, away from the TV and some roasted peanuts he was always munching on. He’d take the phone receiver. We’d do it again. They’d call him to stay with the two-year-olds, and the same conversation would take place. It looks like those church women would have learned. Dad always laughed. He never got mad. He took it in stride. I like that about him. 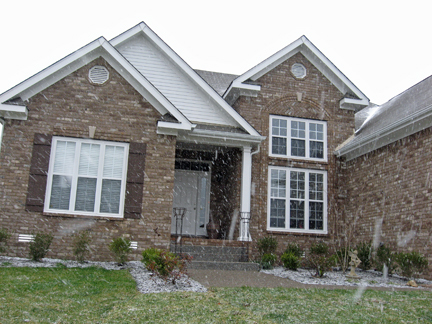 January brings snow, the first my House has ever had. It’s fresh excitement, like a child running through blowing flakes with her mouth wide open, tasting it for the first time and laughing to beat the band. I found a new place that I’m really liking because it’s locally owned, away from the Franklin hustle and bustle and chains, the people are nice, and the desserts are homemade, even though I don’t usually get dessert. I did have the ice cream cake once, and one day, I will try the chocolate pie. 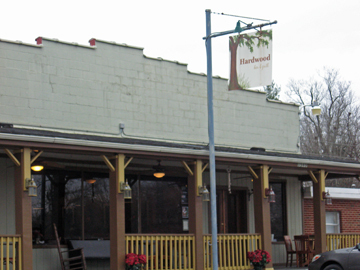 It’s the Hardwood Bar & Grille on Thompson’s Station Road West. 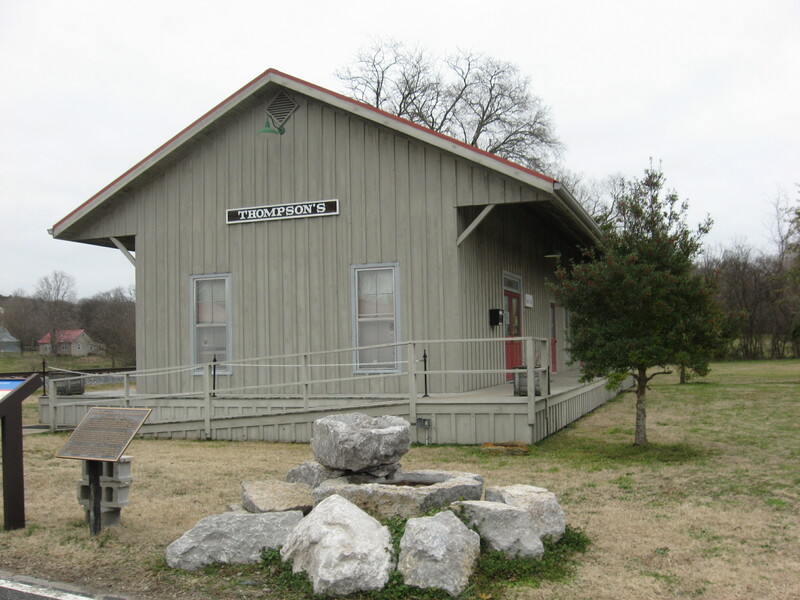 You turn at the intersection where the BP station is located and veer around to downtown Thompson’s Station. I’ve only lived down here a month, but I’ve been to this place four or five times, or more. 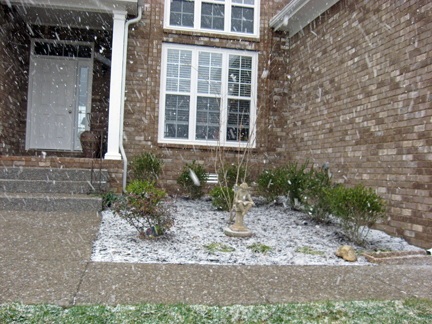 I even shared it with my son visiting from North Carolina the day before Christmas Eve. He’ll want to go back next time he’s home. I can’t wait till it’s warm, and I can eat and read or write on the front porch. Outside or inside, it’s hard to not slip into a trance in the quiet calm of country. 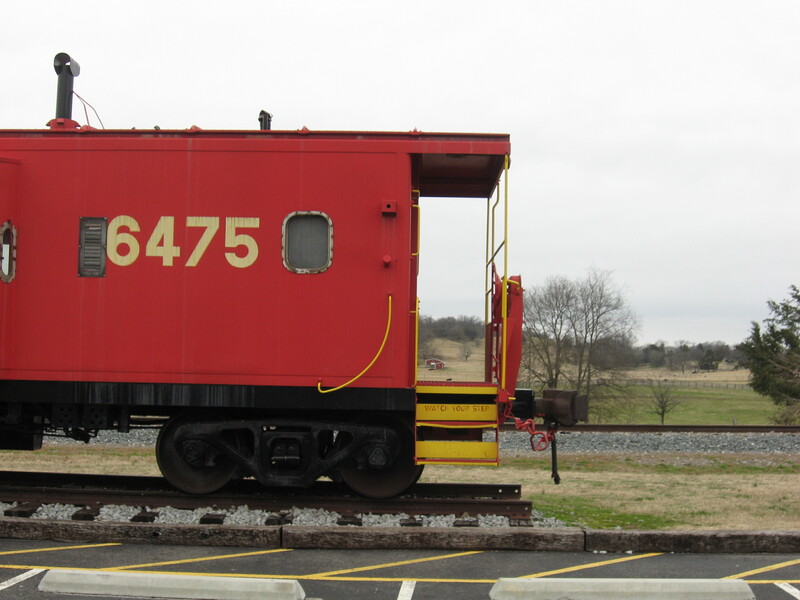 Across the street, next to the old depot which is the new City Hall, there’s a red L&N caboose. I rode L&N from Memphis to Cincinnati with my mama when I was a little girl. Beyond the train car, you get a view of rolling hills with black cows peppered about. The Hardwood has art work on the walls for sale and I hear they have live music, too. So it’s kind of an artsy place. And for that reason — and because someone suggested I should — I’m going to set a date and meet some writer friends from Franklin, Spring Hill, and Columbia for breakfast or lunch one day. I’ll let you know when my skies are clear and the sun is rising! Get ready for potato cakes, y’all. New Year’s Eve afternoon was spent cleaning out the garage of my new home, so I can get at least one car in it. I’m very close. I couldn’t finish because I didn’t feel up to par. New Year’s Eve was spent eating takeout from Captain D’s that my friend brought over. Then we watched Midnight Cowboy, and then he went to Walgreens and bought OTC drugs for me. He actually found one that covered all nineteen symptoms. I took the nighttime liquid and slept peacefully, but I did wake up at midnight when fireworks exploded all over the neighborhood. Some people must be happy to see 2012. Bah, humbug. It will be like all the others — a bunch of calendar days going by, waiting for “What next?” and knowing that question will be answered. Maybe something good will happen, too, in 2012. We’ll see. Resolutions? I’ve made them, and I am fully aware of how hard it will be to make them happen, and maybe in February, when this disease passes, I’ll have the energy to begin chipping away at them. Right now, on Day One, I’m already a month in the negative. Hell no, I’m not a pessimist. I’m a realist. I’ve tried to tell people that for years. Plus, I just don’t feel good, uh, well.